I think I jumped the gun with the last blog post as my injured condition has to date taken much longer, and in need of more deliberate rest, to heal than I had imagined. I was actively searching out ways to get a quick fix, but since have realized a good bit of rest might be the only way forward. More on that in a bit, first an update on a recent trip out east. Last week I attended a fun and truly inspiring event while passing through the Chicago area. It started as a way to raise a few thousand dollars for a friend going through cancer treatment and 14 years later is a full-on charity golf fundraiser that raised $120,000 this year. That money is going towards helping 9 families affected by cancer. In total, the BTB Foundation has raised $750k helping 37 families over the past 14 years, which is an amazing feat considering it started with 30 people out on a golf course trying to help out a friend. It’s a true grassroots event that has grown from those original golfers to selling out two 18-hole golf courses as well as a 500+ person banquet dinner later that evening. Very impressive all around. It is a true charity and community event where friends and families get together to help one another out. Hearing everyones stories was touching to say the least. Their goal for the 15th anniversary is to cross the million dollar mark for money raised to date. An incredible feet. This is one of the great ways in which golf can be utilized. It’s perfect for charity outings and these types of events happen all over the world. 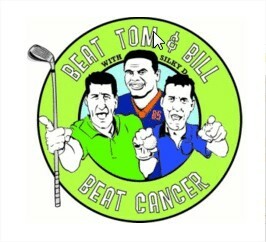 I would encourage everyone who enjoys playing golf to find at least one fundraiser a year to participate in. Not hard to find at least one and at the end of the day you have helped raise money for a good cause while also getting to play a round of golf. It’s a win-win. I want to thank Tom and Bill, as well as Dennis McKinnon (aka Silky D, who has been partnering up with BTB for the past five years and who was also on the 1985 Super Bowl winning Chicago Bears. Great guy and lots of fun to hang out with.) for letting me join in on the fun. You guys are amazing! I would also like to thank all of the participants this year. It was a pleasure to get to know a bunch of you and I appreciate the warm welcome and fun day. The only unfortunate part of the day was that I still, even after 3 full weeks of no swings at all, was unable to come close to making a full swing. I could putt and chip and hit half shots, but a full swing felt exactly as it had three weeks earlier when I last played a round. I figured that amount of time off and all of the treatment I had received at the skilled hands of Shawn and Seth would have made a big difference, but the back was still unable to support a full swing without sharp pain in the right hip area. With that amount of rest time and treatment resulting in feeling no different, I knew it was most likely not a muscular or tendon issue. Or, if it was, it was more serious than I had imagined. A few people recommended getting an MRI and I talked with my sister about that on my next stop in Atlanta. She is a doctor as well as an accomplished marathon runner and we chatted about everything I had been doing to heal the spot as well as what it was feeling like and she had some ideas of what it may be. During her running career she had a couple of stress fractures that were misdiagnosed at first and resulted in her being sidelined for a couple to a few months. How my injury feels is very similar to what she was describing and now I am fairly convinced that a stress fracture is the culprit. The best way to find out for sure is to get a bone scan, which is much cheaper than an MRI, but she suggested to hold off on that and rest it for a couple more weeks to see if things start to improve. If it is a stress fracture the only “cure” is rest anyway so that’s the first step. She told me to try and not do anything that causes pain in that area as pain could signal things getting worse. The good news is that only rotational things hurt and day-to-day activities do not trigger the spot. The bad news is that I have to hold off even longer before getting back to practice. It is a frustrating place to be in, but it is what it is. After Atlanta I drove down to Hilton Head with my parents and had planned on a number of rounds and practice sessions while on the island, but had to postpone those until the next trip. It was nice in a way as I had all day to catch up with the folks and that’s not a bad place to rest a back. Yesterday I began my trip back to Portland with a stop in LA. The plan, again, was to meet up with Dr. Bob Bjork for a round near UCLA and then to play Friday and Saturday with other friends before heading back to Portland. Those rounds will have to wait until the next time. Another good sign, though, was that while walking through the airport with my bag yesterday my back felt so much better than when flying out of Chicago. In the Chicago airport if I put my shoulder back on either shoulder I could barely walk without sharp pains and even sitting on the flight to Atlanta was uncomfortable. So, progress is being made with rest as treatment. My favorite event of the year, the Royal Oaks Invitational Tournament, is from June 5-7 back in Portland. I signed up two months ago and have already paid for the tournament and very much hope to play, but only time will tell. From now until June 4 I will avoid full swings and slowly start to get back to chipping and putting and then on June 4 will have to see how it goes. If I still can’t swing I will have to withdraw, but fingers crossed it’s pain free and I can play. It would be a shame to miss the event. Over and out for now. Sorry for the long delay on posting, my mind has just not been on golf lately as I can’t do it and don’t like to think about what I am missing out on. Sometimes it’s easier to change your focus rather than linger on something not currently possible. As soon as I can swing again I will be back on here and social media. 6 Responses to "Physically one step forward, two steps back; and a Chicago fundraiser"
Over my 50+ years of playing golf I have had a number of injuries. For you, massage and adjustments have not solved the problem. Time to consider discussing the issues with an orthopedist or back/spine specialist. Asking advice from family and friends isn’t the solution. If a month off hasn’t helped, there probably is a serious problem. Find out what the problem is and make the appropriate plans. I’m sorry to read about your back pain. But now it seems you’re in a state I reached 3 years ago. I suffered of massive back pain and some problems with consistency in my swing. The back pain often is caused by the x-factor, which is an integral part of the PGA based swing style. But the spine is not built to be turned as much. And the greater the x-factor the greater the danger for the back. But I learned there is at least one other swing style that is much more back-friendly. Your hips are allowed to turn 45 degrees in the backswing and so there is much less tension to the spine. The head stays still as the top of a pendulum-style swing instead of a mere shoulder turn. This swing styIe is called the “Mike Austin swing” ore sometimes referred to as “the modern golf swing”. Mik Austin was a very famous player in the 50s and still holds the world record for the longest drive played in a tournament. I was luckily enough to be teached two years ago by one of his pupils, Dan Shauger. Now my back pain is gone completely and as a side effect I have more consistent ball striking because of the nearly fixed head and I added 25 yards to my drive. - Very famous in the US is Mike Dunaway, who produces books and video lessons. -Jaacob Bowden: He is a pupil of Dan Shauger and won several long driving contests and became pro after switching to that swing. Before he had an handicap of about 14. On some of Jaacob’s websites there is a video download about the swing which I find very clear and understandable. And he also teaches which parts of the originally swing concept are a bit difficult to practice and where you can do sowe tweaks to get it more easy. its funny we think and are tricked by our egos and life experience to believe unless you are been LAYED OUT on a football field or ice hockey rink its impossible to get a serious injury, especially from a sport like golf. All the pros and serious golfers go through back pain its gonna happen sooner or later, especially if u play 3 or 4 times a a week for a extended period , less than that a week u can get a way with it..
taking time off can actually help your swing and long game , which sounds crazy i know but it does work, good luck hope it works out and keep plugging away. 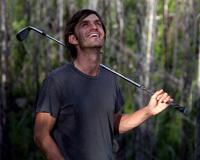 Hey Dan, I really hope you are able to play in the Royal Oaks invitational. Partly because I have dealt with back pain myself for years and know what you’re going through and partly because you and I are paired in the first 2 rounds together in the event. We have a few mutual friends as well as both being left handed and I’ve been hoping to get a chance to play some golf with you. Good luck and I hope to see you at the 10th tee box Friday. It will be nice to meet you. We are also playing with one of my golf friend Stuart Smith for the first two rounds who I have known for a few years and who went down to Palm Springs to play in the Gateway Tour last year. It will be a pleasure to play with you Friday and Saturday no matter what the physical outcome is and my goal is to enjoy the tourney and, fingers crossed, finish at least the first round. I haven’t made a real full swing since the Rose City Iceberg Open, but after this much time off I am optimistic about this weekend. Going to go out and make some swings Thursday and see how it goes. 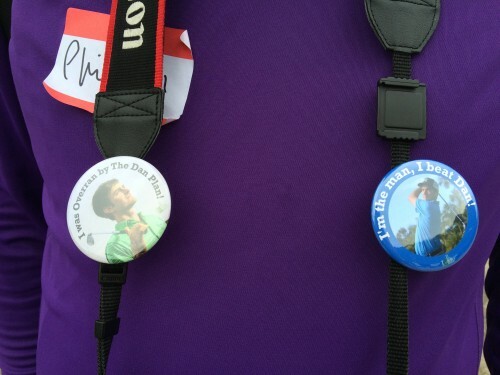 No matter, I look forward to teeing it with you Friday and appreciate the comment on the blog. Sorry to hear that the back pain hasn’t abated. I blew out my knee on a Grand Canyon hike a decade ago and still have to baby it now. Sports doctors can really work miracles, though. I strongly recommend seeing one. Having a family member who is a doctor is a great blessing, but it’s always prudent to get a second opinion. And don’t worry about the time off. Part of the reason I’m still having knee problems 10 years later is because I didn’t stay off it for 6 months like I was told. Don’t make the same mistake. Even a year off golf would be worth it if it means the next 10 can be played without pain.